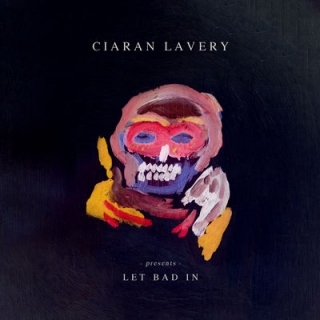 ALBUM REVIEW: CIARAN LAVERY, "Let Bad In"
This sophomore effort from Irish singer-songwriter Ciaran Lavery has an aura about it twinged with a sweet melancholia – and that is its strength; its secret weapon. And it’s not not your standard singer-songwriter fare, either. What you may project or expect isn’t what you get and that makes it even more interesting and worth the exploration. As Let Bad In begins with “Sonoma”, a brooding piano piece, you’re immediately jolted out of its hypnotic and gentle spell as it’s only two minutes long and then goes into “Okkervil River” with its electrobeats and samples, which is a neat and cleaver offset to the somewhat cryptic lyrics. “The Show” is no less dark, but yet has an upbeat-ness about it and is catchy with an (you guessed it) Americana feel – slightly countrified with a sweeping, yearning melody; “Return To Form” is radio-friendly and walks the very fine line between danceable pop and Americana with its acoustic body but heavy beats and “Tell Them All” is a stripped down confessional with acoustic guitar that yields slightly to emotive strings. “Let Bad In” is as stripped down as you can get – just Lavery’s raspy yet melodic voice with barely audible “sounds” under the mix to carry him along; “Wilder” is one of the richest songs on the album; a warm mix of acoustic guitars and strings and “Train” is another quiet piece with just voice and acoustic guitar to close the collection in a subdued manner. All in all, a ponderous yet satisfying mixture which works well. An album for a quiet night to provide the soundtrack for some heavy contemplation. That’s no easy feat and Ciaran Lavery manages to pull it off with Let Bad In, which is good.